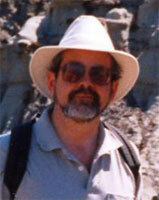 Gregory Paul is an independent researcher on subjects dealing with paleontology, evolution, religion and society. Books include Predatory Dinosaurs of the World and Dinosaurs of the Air, the latter is the subject of a PBS NOVA episode in production. His analysis showing the societal decline and inferiority of 1st world religion in the Journal of Religion and Society (moses.creighton.edu/JRS/2005/2005-11.html, the journal refuses to publish further papers on the subject) got Paul labeled the churches public enemy #1 by MSNBC, and denounced as un-American in the Wall Street Journal.